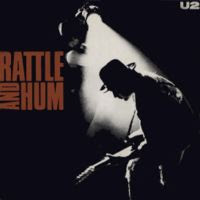 Rattle and Hum was the soundtrack to my teenage years. It was when I discovered music and found U2. I remember watching the video at my aunt's house (we didn't own a VCR) and feel in love with their beliefs and attitude when I heard Bono's speech during the intro to Sunday Bloody Sunday played on November 1987, the day of the Enniskillen bombing. It hit a chord with me and I realised that fighting for Irish freedom wouldn't be achieved by murdering old soldiers on Poppy Day. I remember the day I bought Rattle and Hum, I also bought Popped in Souled out by Wet Wet Wet, what a lucky escape that it was U2 for me. My next album was The Joshua Tree. Since then I have been lucky to see them live in Dublin, Belfast, London, Manchester, Glasgow, Paris and Cologne.